Purée all ingredients in a food processor or mash and mix by hand. Bake in a greased 9 x 13 inch pan at 350 degrees Fahrenheit for 30-35 minutes. Enjoy! 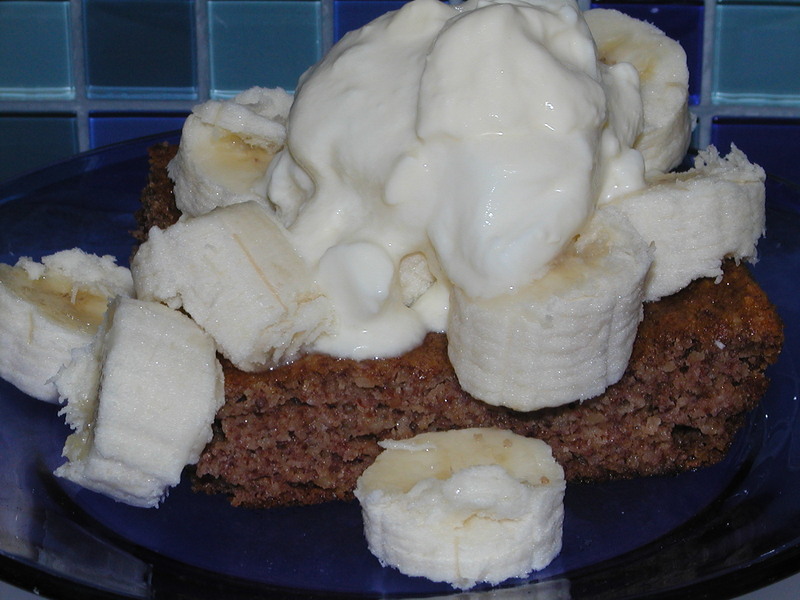 -Slight variation from Elaine Gottschall’s banana cake recipe. -Top with fruit and homemade sour cream, if desired.